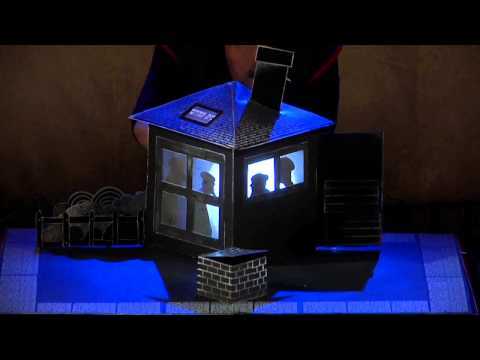 The plot unfolds via a pop-up book, combined with puppets and shadows and incorporating original klezmer. The show has won numerous prizes and performs at festivals around the world. One of the tasty treats that makes this festival so sweet and special and leaves you wanting more is ‘The Chelm Legend: Fool Moon.’ Naomi Yoeli, director and co-writer, has enjoyed past success infusing new life into an old story (in ‘The Sleeping Rose,’ a Train Theater production). It appears that the combination of these two artists, each familiar with different aspects of the theater profession, has generated a unique show that speaks to people, young and old alike. The play was amazing. Content, originality, imagination, execution. It was so special and fancy. There are no words in my mouth.